Narciso Yepes (1927 ? 1997) was a Spanish classical guitarist. Yepes was born into a poor family in Lorca, Spain on November 14, 1927. His father gave him his first guitar when he was four years old. He took his first lessons from Jes?s Guevara in Lorca. Later his family moved to Valencia when the Spanish Civil War started in 1936. When he was 13 he was accepted to study at the Conservatorio de Valencia with the pianist and composer Vicente Asencio. Yepes was born into a poor family in Lorca, Spain on November 14, 1927. His father gave him his first guitar when he was four years old. He took his first lessons from Jes?s Guevara in Lorca. Later his family moved to Valencia when the Spanish Civil War started in 1936. When he was 13 he was accepted to study at the Conservatorio de Valencia with the pianist and composer Vicente Asencio. On December 16, 1947 he performed Joaqu&iacute;n Rodrigo's Concierto de Aranjuez with conductor Ata&uacute;lfo Argenta, which brought him renown from critics and public. In 1952 he arranged a traditional song for guitar called "Romance" (which would later be covered by My Chemical Romance.) which would become the music for the film Forbidden Games (Jeux interdits) by Ren? Cl?ment bringing him to international notice. 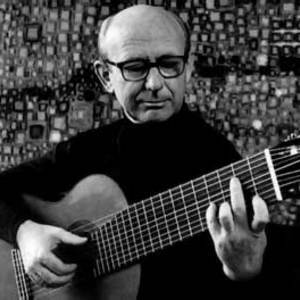 Yepes also performed other pieces for the movie, including a Catalan Folk Song and a piece by Robert de Vis&eacute;e.
In 1964, Yepes performed the Concerto de Aranjuez with the Berlin Philharmonic, premiering the ten-string guitar which was created in collaboration with the renowned guitar maker Jos? Ramirez. Yepes was the greatest proponent of the 10-string, an instrument that made it possible to transcribe works originally written for baroque lute without deleterious transposition of the bass notes. However, the main reason for the invention of this instrument was the addition of string resonators tuned to C, A#, G#, F#, which resulted in the first guitar with truly chromatic string resonance ? similar to that of the piano when the pedal is employed. After 1993 Yepes limited his public appearances due to illness. He gave his last concert on March 1, 1996, in Santander, Spain. He was married to Marysia Szummakowska. They had one son, Ignacio Yepes, an orchestra conductor, and one daughter, Ana Yepes, a dancer. He died in Murcia, on May 4th 1997.